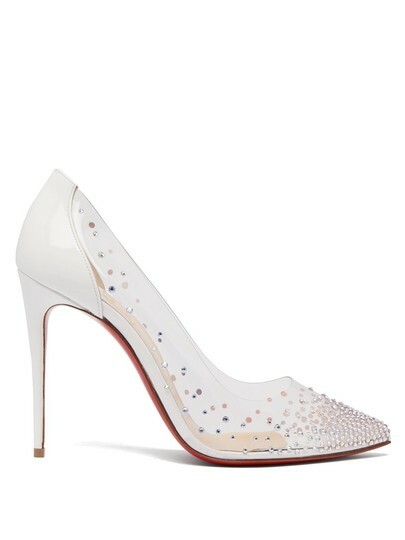 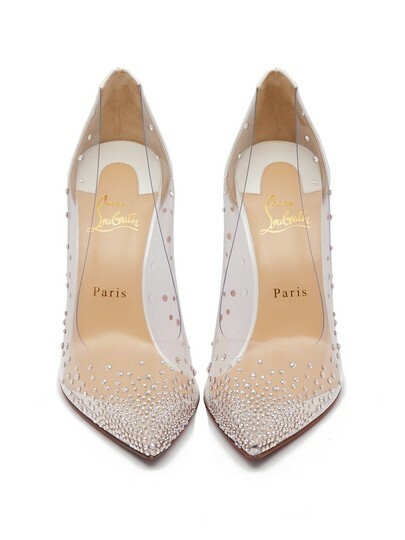 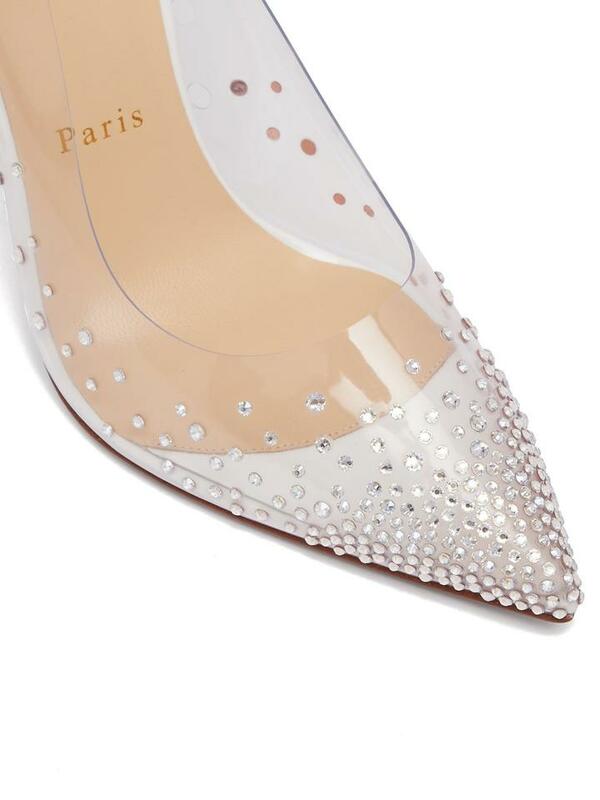 Christian Louboutin's white Degrastrass pumps are made from clear PVC for a leg-lengthening effect and adorned with light-catching crystals. This point-toe pair is crafted in Italy and set on a pin-thin stiletto heel with light beige leather lining, then finished with hallmark red-lacquered soles. Style them with a white silk dress for ethereal impact.